His is the name on the label of the legendary Converse All-Star basketball shoe. Though the shoe has been worn by hundreds of millions, few, if any, know a thing about the man behind the name. Some even believe that there is no such person, that he is a marketer’s fabrication like Betty Crocker. But “Chuck Taylor” was more than a rubber-soled, double-wall canvas-body shoe with a circular ankle patch, with a bright blue star in the middle and a signature across it. He may not have been a Michael Jordan, but Chuck Taylor did earn the right to be the face behind the most popular shoe in basketball. For this first-ever biography, Abraham Aamidor went on a three-year quest to learn the true story of Chuck Taylor. The search took him across the country, tracking down leads, and separating truth from legend–discovering that the truth, warts and all, was much more interesting than the myth. He found Chuck involved with “industrial league” basketball in the 1920s, working as a wartime coach with the Army Air Force, and organizing clinic after clinic. He was a true “ambassador of basketball” in Europe and South America as well as all over the United States. And he was, to be sure, a consummate marketing genius. He was elected to the Sporting Goods Hall of Fame before his induction into the Naismith Memorial Basketball Hall of Fame. This biography makes it clear that he belongs in both. 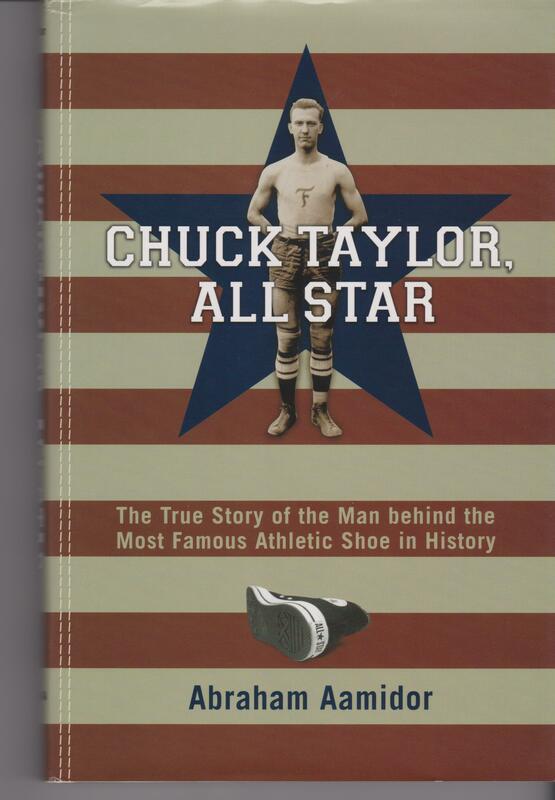 Read a scholarly book review review of Chuck Taylor, All Star here. To listen to Aamidor’s interview on NPR’s “Only a Game” click here.